When it comes to loyal customers, Viero UK always likes to say thank you. That’s why this year we’re offering a generous reward for the clients that keep coming back to us time and time again. We acknowledge and appreciate the great faith our customers put in us to continue specifying and applying our products. Up for grabs is the chance to enjoy a luxury trip to the company’s headquarters in Italy. 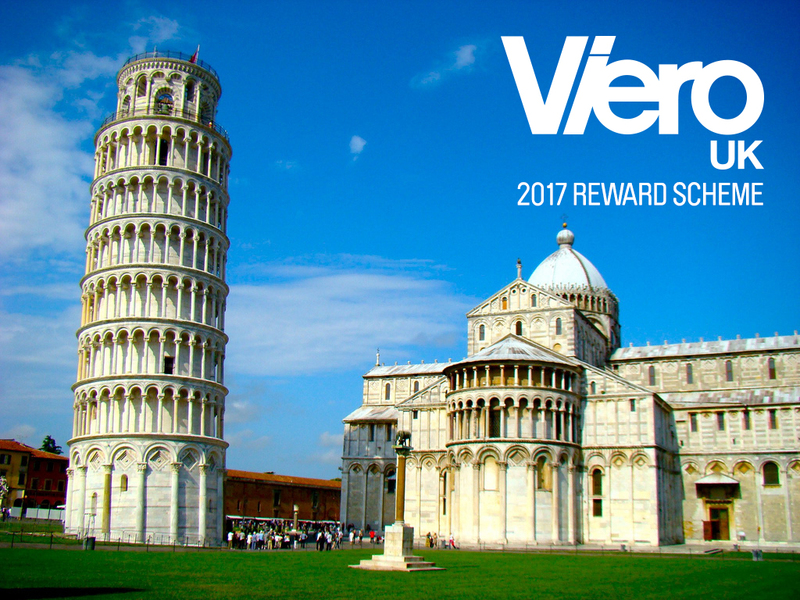 Applicators, architects and designers can qualify for the trip by reaching an agreed spend on Viero UK products between 1 January and 1 September 2017. To find out more about this prize and how much spend is required to qualify, email sales@viero.co.uk for more details.